Sourced from "Anola Past and Present"
In 1907 when the Grand Trunk and Pacific railway expressed an interest in the district, the land was sold, and the village of "Free Port" was born. Perhaps not the most original name, but a name nonetheless. The subject of just why the name of Free Port was changed to Anola is an interesting one indeed. However, it is all speculation as no concrete reason has been found in the records that were searched, except that the change occurred in 1912. 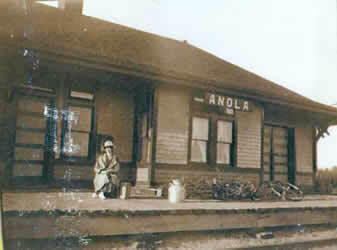 According to the book Place Names of Manitoba, published for the Geographic Board of Canada in 1933 by the Department of the Interior, the name Anola is an "invented name, formerly known as Richland Post Office". A 1905 letter from M. Holloway, who ran the Richland post office which served the area, may have prompted this conclusion. In his correspondence to the Geographic Board of Canada, it was indicated that residents were unaware of why it was so named except "as a more convenient means of referring to it than Township 10-7E" Considering the date of his letter, this makes one think that people in the area were calling it "Anola" even before it was officially changed; at least as far as mail delivery was concerned. Ted Stone states in his book The Story behind Manitoba Names: Locals sometimes ascribe the name to the rise in elevation there. The area is on a slight but perceptible, ridge. According to this theory it's on "a knoll," which gave rise to the name Anola. Others have suggested that Anola is named after the wife of a railway official. This theory has some credence since Anola comes at the end of a series of rail points (Elma, Hazel, Vivian) using women's first names. It's likely that the same official named at least two of these towns after one or more daughters. Since all four towns received their names at about the same time, Elma, Hazel, Vivian and Anola may have been sisters.  Or perhaps the local legend is correct and Anola was the mother of the other three." Another possibility is that early homesteaders in the area were of Finnish descent and so the name chosen would reflect that, as there are at least seven towns in southern Finland whose names end with ola: Askola, Hollola, Karkola, Nastola, Kouvola, Hartola, and Heinola. The explanation behind the village name change may be a complicated story, or as simple as someone liking the name Anola better than Free Port. Either way, it could pop up out of nowhere, perhaps to be found amongst memories locked away in an attic; or be lost to us forever. Now back to the early 1900s and the Grand Trunk Pacific Railway. After buying the right of way, a station house, freight shed and loading platform were built in 1910. According to the book Railway Station Guide, by B. Ballantyne, the station was a Type NTR3, or a standard #3 station. Cost to the railway for the station house is listed at $2,963, which is a very high figure in those days, so it is possible that this amount is the total cost, including upgrades done in later years. It had a public waiting room which was carefully monitored by the section foreman, Mr. Oscar Adolfson. He was the first section foreman for Anola and lived in the station house with his family, as Anola had no station agent. A cattle corral and loading chute were used extensively by Mr. George Moorhouse to ship the large amounts of cattle that he bought from area farmers, resulting in a thriving cattle trade. The train was most definitely a link to the survival of people from all around, bringing Boxcars of dry goods and other staples needed for daily living. Old timers recall milk cans on the platform awaiting the arrival of the train, although cans were sometimes picked up at non-designated stops where families who lived further from the station would leave them. Names were painted on the cans so they could be returned to their rightful owners. In 1935, insulation was added and stucco was applied to the walls of the station. Electrical service including lighting was installed in 1953, and in 1961 it was sold to an independent party and moved from its original location. It is believed to be located at a private club just one mile east of the village. Track maintenance in Anola was done under the supervision of the section foreman. As mentioned, Oscar Adolfson was the first, and sometime later Steve Loza took over. For many years he and his wife lived in the community. Crews were responsible for the upkeep of 1 mile of track per man, from 4 miles west up to Glass and 4 miles east. The men would ride a jigger, which was a little railway car powered by a 1 cylinder pump engine, up and down the section they were tending and visually check the condition of the track. Manual jiggers were used for only one or two men. Oftentimes, a small trailer loaded with equipment such as shovels, spikes and nails would be pulled behind the jigger. All necessary repairs were done by hand, whether it was simple like hammering in a spike, or more physically challenging like the replacement of an old tie, which required a substantial amount of brute strength. This involved manually lifting the tracks and pounding the old tie out, then putting the new tie into position, sliding it under and lowering the track back down, making sure that all was straight and level. The crew labored in the biting cold of winter or the intense heat of summer. At times their work would be interrupted when a train approached, barreling down the tracks towards them; in this case they would simply lift the jigger off the track and move to the side, wait for the train to pass, replace it, and resume their work. Definitely worth mentioning is that prior to the Grand Trunk Pacific, a private rail line existed from Elma to Winnipeg. It was built by a very enterprising fellow named McArthur, and it was used to carry supplies and passengers to various stops along the way. Imagine the endless hours of hard labor required to carry out the task of actually building a rail line (from Elma to Winnipeg is a distance of 78 kilometers) with the resources available to settlers of the time. One can only look back with great admiration at the tenacity and will to survive displayed by people such as that. The re-routing of the train tracks resulting in the "S" curve crossing on Highway 15 (7 miles west of Anola) has an immediate connection to our village. When the first survey was done for the railway, it was discovered that the tracks would have gone right through the homestead of a certain William McCotter, who owned the first homestead in what is now known as the village of Anola. Located on Section 1, Township 11, Range 6E (the northwest comer of the junctions of highways 15 and 12), it is the site of the present Anola Elementary School. In order to avoid dissecting the McCotter family farm, the "s" was put in place to run the tracks from the north side directly across and to the south side of highway 15. To Mr. McCotter, this must have been a worthy compromise on the part of the railway. But alas, it has caused grief to modem day motorists, who dread being delayed by the train while on the commute to Winnipeg, and who also dread driving over the tracks and testing the limits of their vehicles' suspension. Driving on the roads of the early 1900's was no doubt much worse than repeatedly driving back and forth over that "s" curve crossing. Roads were not much more than trails stretching this way and that, winding their way atop ridges, and from the memories of local old-timers, bumpy and treacherous beyond belief. The perils associated with being on the road when inclement weather hit could be downright dangerous for travelers. Homesteaders en route needed to be aware of the lay of the land, as adequate drainage had not yet been accomplished. After heavy precipitation, creeks could quickly turn into raging rivers, with hazardous consequences for unprepared travelers. Swamps could easily swell to the size of a lake. Louis Bugyik, whose father ran Bugyik's store in the village, remembers when much of the north east comer of highways #12 and#15 was swamp. Respecting the space of wild creatures scurrying about was another issue. It's not clear if wildlife then was more abundant than it is today, or whether the animals of the time were still not sure if we were a threat to them, so didn't feel the need to be inconspicuous. In speaking with people who grew up here, there has been mention of wolves, bears and coyotes, and the ever-present worry of these animals crossing the paths of children while walking to school. Most travelers, adults or children, did not savor the idea of exchanging pleasantries with curious wildlife at the best of times; especially when their wagons were stuck up to the axle in mud. Time consuming delays of any kind could amount to much more than mere inconvenience; they could very well result in the spoilage of cargo and loss of supplies needed for existence; in which case another trip was evident. If that weren't enough to worry about, there was the ever present nuisance of insects, particularly mosquitoes and biting flies, who had nothing better to do than feed and multiply by the millions. When traveling in the evening, a smoking smudge pail was hung on the wagon pole to provide some measure of relief to the livestock pulling the wagon. Motor cars began making an appearance in around 1910- 1920, but they were very few and far between. Because of the condition of the roads, the ride wasn't much smoother than being in a wagon and the likelihood of getting stuck and tormented by bugs was about the same. Of consolation to the traveler were perhaps the cushioned, button tufted seats. In winter, the horse drawn cutter was the chosen form of transportation even after motorized vehicles arrived in the district, as the cold weather prevented most cars from starting anyway. Gliding in a cutter across the snow was no doubt exhilarating, and was often done for recreational purposes; the ruts, potholes, and insects of the summer roads a distant memory. Of course there were dangers of traveling in winter as well. Getting caught in a blizzard and/or freezing to death was a very real possibility in those days. In the Springfield Municipality book there is mention of men, women and children getting lost on the prairie or in the bush; one of which was caught in a winter storm and found days later, frozen to death. If you had neither motor car, wagon, cutter, or horse, you walked every­where; at times as far as Winnipeg and beyond. Walking for miles to get to your destination was something that was normal and necessary in those days; a far cry from modem times when circling the parking lot to find a spot twenty feet closer isn't thought of as strange .. In 1959, travel was improved immensely when highway #15 was black topped, followed by highway #12 the year after. A Transcona News article written in 1959 by Howard Wright, regarding highway #12, predicted "The highway will become a very important north and south road." In later years, the trip to the big city was made much more convenient for area residents when Eastern Bus Lines started two daily runs from Anola into Winnipeg. The buses went as far downtown as Graham and Hargrave and back again. No doubt this service opened up a never ending assortment of answers to the question "What are you doing today?" In 2007, a large number of people in the area commute to Winnipeg, many driving into the city five days per week. The 20 - 25 minutes it takes to arrive at the perimeter highway is really amazing, considering the amount of time it took the earlier settlers to get there, and the ways they accomplished the journey. Mr. Bugyik had immigrated from the Budapest region of Hungary and after a few years in Saskatchewan settled in Anola. His son Louis remembers the store, which had several outbuildings including a two story ice house and a smoke house. Louis recalls helping his father with everything from invoicing to butchering, even before he reached school age. Times were tough. Howard Wright, in the Transcona News, dated August 13, 1959 relates: "Mr. Bugyik was a familiar figure in Anola for many years. When hard times became prevalent, he became quite a trader and would take cord wood or fence posts or anything else he could resell in trade on groceries and provisions, or to payoff a store bill. He used to take grain in trade which he fed to his pigs. Much of the pork he raised and the eggs and butter he took in trade found its way to the camps back east, which he supplied." Considering the amount of people Mr. Bugyik supplied provisions to in the community, it's surprising to note the size of his store was no bigger than some walk in closets. Howard Wright: "I remember going into the store which was so small that Mr. Bugyik could sit behind the counter and reach behind or to either wall or under the counter to get what you wanted without having to leave his seat." In 1944, Alex and Ann Halabiski bought the store from Mr. Bugyik. They renamed it the A.A. & R. Store, using their initials and that of their son, Robert (Bob). Behind the store was an old barn where the Halabiski family kept their milking cows. They also had pigs, chickens, and at times 40-60 head of cattle. Daily life was no doubt a busy affair; running the store, post office, and tending to the needs of the animals. In 1950 they built a larger facility on the same site and added a little restaurant with a couple of booths. They served drinks and various light meals. The store and its grounds were kept neat and tidy, and Ann tended her various flower plantings for an aesthetically pleasing touch. In 1957, Alex passed away due to heart problems. Ann later remarried Theodore "Gus" Gass, a Highways Department Engineer. Two of the streets in Anola carry both Ann's first name as well as her second assumed surname, Gass. Kimberly Street is named after her granddaughter (Bob's daughter). Bob Halabiski recalls when the store had to be moved over "a few feet" to accommodate the widening of Highway #15 and the by-laws which came with it. He also noted that there had been a small bridge on Highway #12 just south of #15, which went over a ditch that ran through the area. Unbeknownst to their parents, neighborhood kids would frequent the underside of the bridge to hang out and smoke. This netherworld was eliminated when the bridge was tom down. The family continued to be active members of the community and ran the store up until 1970 when they sold it to Mr. Fred Marx. Ann stayed on as postmistress until she retired in 1977. Bob Halabiski, although not living in Anola, continues to frequent Annette's restaurant in the Village Inn where he plays guitar and sings with other musicians. Mr. Marx renamed the store "Settlers Inn," and in later years it was sold to Ross Major. The basement of the store was home to the Anola beauty Salon, and a steak house restaurant was located where the post office once operated. Ross Major leased out to Maurice Dandenault for a time, then sold out to Norman Laroque, who sold to Les Colmer. The gas station, previously Shell, is now Esso and the present owner is Anis Khan. The convenience store has spread out to include the area where the restaurant was, and also displays a large assortment of movie rentals. There is a small restaurant located on the south side of the convenience store which has changed hands a number of times; it is now called the Pizza Pit. Paul Nimchuk opened his general store in Anola in1936 and served the town and surrounding area for some 31 years. On October 2, 1937 he married Katie Lebitt of Hazelridge and shortly after that officially named the business Kay's General Store. The store became the classic country emporium selling groceries, hardware, steel and plow bolts, cattle and poultry feeds, oils, greases, gasoline (pumped or barreled), clothing, gifts, tobacco, horse harness equipment, patent medicines, meats, fruits, fan belts, etc. Once the business developed a reputation for having practically anything you might need it drew customers for fifteen miles in all directions. Remember, this was a time (the 40's and 50's) when making the drive to Winnipeg was a very big deal so if you could go to Kay's and avoid the big city, you gladly did it. The store was remodeled in 1952. The store was the first establishment in town with electric lights, getting its power from a diesel generator. The machine was large enough to also supply the Anola Hall which was almost directly across Dugald Road (later Highway 15). When electricity came to the area in the early 50's Manitoba Hydro would not charge for electricity used for a towns' Christmas lights, so Paul organized the purchase of the first two strings to cross Dugald Road and then got the free service extended to include Ukrainian Christmas. December 24 was a special shopping day at Kay's because every adult was offered a glass of wine in the back storeroom. For several farm ladies in the area, this was the one day of the year that they made the trip into Anola. Keeping the store inventory updated meant that Paul would drive the 2-ton truck into Winnipeg every Tuesday and Kay every Friday; Neighbors frequently hitched a ride. Paul and Kay were very active members in the community. Kay was president of the Anola Chatelaine Ladies Club and the Ukrainian Ladies Club. Paul was secretary for many years of McDavid School District (No. 1234); he was on the executive of The Springfield Exhibition Society; he organized and was president of the Anola and District Chamber of Commerce; was on the executive of the Retail Merchants Association of Manitoba; he organized the first sports club which procured the property for baseball diamonds and a hockey rink in town; he was a member of the Welfare Advisory Appeal Board of Manitoba; he was president and secretary for both the Federal and Provincial Progressive Conservative party organizations. Kay and Paul sold their business in 1967 to Steve and Irene Boriskewich and moved to St. Boniface in retirement. Paul died August 28, 1987, while visiting son Ron (born 1942) and his wife (Lovie Pakarnyk of South Transcona), in Edmonton. Kay moved to Edmonton in 1998 and then to Penticton, BC in December, 2005. Ron and Lovle also are in Penticton after 40 years in Edmonton. Kay's granddaughter, Anastasia, is a pharmacist Digby, Nova Scotia. Steve & Irene Boriskewich had 4 children at the time they bought the store; Dean who was 9, Gary was 7, Brenda, 5 and Mark 3. It was a busy year for them. 1967 was Canada's Centennial Year, which added to the activities of moving into the store at that time. In 1969, the store started selling Sno Jet snowmobiles & Ariens lawn and garden equipment. Some of the clothing & shoes were deleted from the store, and in the following year the liquor vendor was added. An addition was made in 1973 to double the store to its present size of 40' by 60'. The main focus of the store at that time was selling groceries, meat,gas and feed. In 1981 the Boriskewich family leased the store to the Jim & Vi Henderson family. They had three children; Dave, Derek and Dorothy. The store didn't change much, but they discontinued selling the snowmobiles & lawn equipment. In 1988 Saul and Marietta Brody took over the lease with their six children. In 1994, Alvin and Natalie Suchoplas, along with their three children, began to lease the store. A smoke house was added. This allowed for a larger variety of meats and smoked products. After almost 40 years of ownership, the Boriskewich family sold the store to the Suchoplas family in 2004. In 2006 the store was again sold to Jacques and Lisa Levesque and their children. The Weiser Blacksmith business was one of the first businesses to locate in Anola. Henry Weiser built his blacksmith shop in 1933 on the southwest comer of highways #12 and #15. Henry was kept busy in his shop, welding all sorts of equipment, all by use of hammer and anvil. He and his brothers also operated a saw-mill and shingle making machine; the mill being powered by an old Sawyer Massey steam traction engine. Unfortunately, the supply of good logs ran short, resulting in the closure of the mill six years later. Henry and Molly Weiser had four children, Gordon, Elsie, Walter and Judy. Henry was a very active member of the community, particularly with the Anola Baptist Church, as you will read later in this book. After running the business for over 30 years, he left Manitoba and moved to British Columbia. His son Walter later became a pastor in Saskatchewan. Bob Halabiski recalls when he and Walter, as children, would sneak chocolate bars from Bob's parents' store. They would retreat to the confines of the outhouse to eat them. These childhood escapades weighed heavily on Walter for many, many years, until he could not stand the guilt any longer and wrote a cheque to Bob's mother Ann to cover the cost of the stolen merchandise. At the opposite end of the scale, Bob says that eating the candy in the outhouse was punishment enough. Alexander Wesley Koskie was born in 1907 in the Monominto area. Liking the sound of the John Deere 2 cylinder tractors, he decided to become a dealer. In 1936 he received the contract to sell and service John Deere equipment, which he did from his small shop located 5 miles south of Anola. In 1938 he married Edith May Belsham. They had 3 children; Wesley, Elizabeth (Betty) and Valerie. 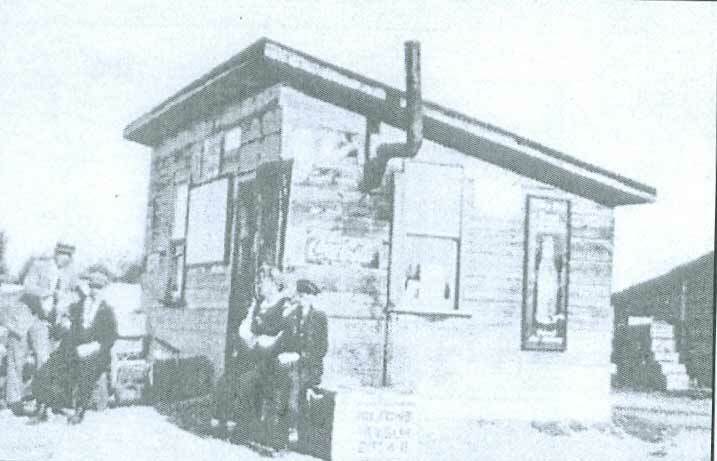 In 1947, the Koskies purchased land in the village of Anola to build a shop for their business, and in 1948 construction began on the building. The following year Alex and Edith moved their house from south of Anola to the northwest comer of highways 15 and 12, where the shop was located. Their son Wesley recalls that the building movers had to lift the telegraph wires which ran over the CN line, and that the cost of moving the house was a steep $900. In the early 1950's A.W. Koskie & Son was one of the leading dealers for sales in all of Manitoba. Alex, with the help of wife Edith and in later years son Wesley, ran the business until his retirement in 1967. Alex also acted as secretary for the Beatrice school, and served two terms as councilor for the RM of Springfield. He worked very hard to bring electricity to rural areas. Edith helped out in the community as well. She belonged to the Chatelaine Club; raising money and making quilts for the needy, and was instrumental in getting the Anola Over 50 Club going. In 1974, son Wesley purchased the shop and house from Alex and Edith and operated it as a body shop known as Koskie Auto Body until closing in 1994. The building still stands, and is now being used for storage. In 1925, Clifton Orr and Charlie Cox opened a small garage. This enterprise lasted only a few months before closing down. Anola was without a garage until 1945 when Leo Bieganski and Fred Shuel built a new garage across the highway from Kay's General Store and opened up for business. Their partnership dissolved after about a year. Mr. Bieganski continued on with the business until he and his family moved out of the area, resulting in its closure. In approximately 1954, Mr. Jim Reeves purchased the garage, spruced it up with new paint, bought the necessary equipment and even had a hydraulic hoist installed. It was operated under the name of Reeves Motors, later changing names to Anola Husky Service. After 16 years in business, the garage was closed down. Shortly thereafter, the structure was set ablaze and used as a controlled fire extinguishing drill by the Springfield Fire Department. The present site of the Springfield Fire Rescue hall just east of Anola was once the location of the Shell Oil bulk petroleum distributing station, built in 1960. It was under the management of Maurice Dandenault. In 1967 the com­pany introduced liquid fertilizer, which was difficult to market to area farmers, resulting in a slow response. Due to a large amount of time and effort by Mr. Dandenault and his staff, as well as changes in farming methods, response increased. The services were eventually moved west into Dugald, where it remains today. Carl and Ruth Cook moved to Anola with their children Clifford, Linda, Allison, and Garth in the spring of 1966. Carl had been a carpenter most of his working life, but now was the Manager of the Beaver Lumber in Beausejour. Upon arriving in Anola, they bought property from Fred Hadaller, where the Last Round Up dance hall had once stood. Seeing a market for ready to move homes, the lot was used for this purpose. In 1974 they decided to open their own lumber and hardware store. It was called Chimo Building Center. The first store was a one car garage, with Carl and Ruth filling the positions of clerks, truck drivers, yard men, and anything else that had to be done. Later they joined the Timber Mart buying group and the name was changed to Anola Building Center. The business has grown over the years and has supported five families. Carl and Ruth's son Garth, their daughter Allison and her husband Darren, and Terry Godfredsen are long time employees. Neil Kendel and Gordon Molinski also work there. The family continues to reside in the village of Anola, except Linda who lives in Winnipeg. The Cook family: "Business has been good, and we extend our appreciation for the support of the communities." In 1979, Susan Dubinski opened Susan's Insurance on the north side of highway #15, just a little west of where the old Anola Hall stood. This was Anola's first (and only) Autopac and insurance brokerage. As of 2007 the business is in the process of changing ownership, as Susan has sold to Horizon Insurance. For a brief time a Sony repair and sales shop shared space. Later came Bar's Video owned by Barb Gerbrandt and a picture framing shop by James Seymour, followed by Cindy Mitchell (Bales) who also grew up right in the village of Anola, and who sold the local wine & beer making supplies. The last cottage enterprise was owned by Maryanne Greenway and operated as a nail salon. In 1986 Eugene Dubinski, his wife Diane & son Terry opened a gift and consignment store where the local hair salon now stands, only a few hundred feet west of Susan's Insurance. The back kitchen was operated by Les Gerbrandt as the Possum Hut Pizza. For a short time, an upholsterer rented, followed by a butcher shop. The building was eventually sold to Dave & Christine Keller and is now known as Incognito Hair. The stylists, Christine and Laura, have established a well deserved clientele by offering professional products and services in an enjoyable, relaxing atmosphere. Manicures and pedicures are offered by nail technician Naomi. The same building also leases space to Essential Kneads massage therapy, operated by Mandy Richter. In previous years, Nicole Samsom operated Massage by Nicole. The Village Inn hotel was built by Russell Ruchkall in 1983 on the former site of Weiser's Blacksmith shop, the southwest comer of highways #12 and #15. This provided a new place for people to meet, and it didn't take long for the beverage room to become a popular location for socializing. All kinds of activities and theme nights continue to take place there such as live bands, pool tournaments, cribbage nights and karaoke. The restaurant was (and still is) known for its delicious food and hospitality. In 2007, the Village Inn is known to many locals as a favorite meeting place, due to its friendly country atmosphere and good people, whether in the beverage room or the restaurant. Not to mention that the best jam session around takes place at breakfast time every Friday, courtesy of the young at heart musicians who have shared the gift of music with restaurant patrons for approximately 3 years now. 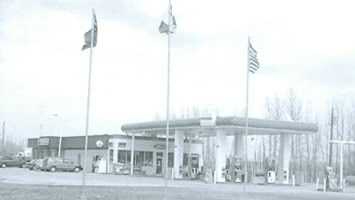 In 1988, Mark and Susan Hnatishin bought the 20 acre site on the north-east comer of highways 15 and 12 to pursue their dream of building a gas bar, convenience store and car wash to serve the community. Unfortunately, the car wash was not possible because of the fact that the village had no lagoon, and zoning restrictions made it too costly an endeavor, so the car wash never came into existence. What did come was a bright new convenience store and gas bar in July of 1991. The new store, complete with a postal outlet, offered many items and services for its customers: gas, groceries, lottery tickets, movie rentals, coffee, and a snack counter. The grand opening of the store was held in May of 1992, complete with free balloons and ice cream cones for the kids, free coffee and donuts, and the first 50 ladies on the Saturday and Sunday were treated to a flower. A hot dog lunch was held with proceeds going to the Anola Community Center, and draws for various prizes were held. Mark and Susan were fortunate to have their families right beside them from the beginning, contributing to the success of the business. Despite the fact that both Mark's brothers had jobs at CN in Transcona, they took the time to make the venture a family affair. David looked after the bookkeeping, and his partner Barbara Armstrong, who also drove school bus, worked part time hours at the store. Brother Jerry took care of the maintenance and yard, while his wife Donna managed the postal outlet. The children were also known to lend a hand when they could. Customers were the number one priority for the Hnatishin family. Calendars were printed advertising specials of the month and draws were held for monthly prizes. Patrons were encouraged to fill out comment cards, and for taking the time to do so, were entered to win tickets for two to a dinner theatre in Winnipeg. Customer appreciation specials were offered. A letter commending the excellent service of the staff was received from Petro-Canada in Alberta. Business thrived and a 2 year Anniversary weekend with goodies for all was held in May of 1993. Even Santa stopped at Lake Trail during the holiday season. 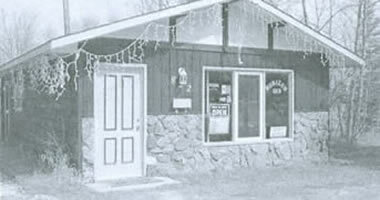 In July 1994, a restaurant addition was built on to the convenience store. It was leased to Kelvin and Cathy Black, who called the restaurant Country Bumkins. Just 8 months after opening, the Blacks expanded their operation to include a lounge. Sparky's Town Lounge opened in early March, right next to Country Bumkins. After 6 years in business, in June of 1997, the Hnatishin family sold the Lake Trail to Anup and Kappal Chhibba. As of 2007, the Chhibba's continue to run the convenience store and Petro-Canada gas bar. In early 2010 a chinese restaurant leased the "Lake Trail Restaurant" for eat in and take out food. A publication of Choice Graphics, Anola, the first edition of the Country Clipper came to residents in February, 1992. Starting out as four pages, it specialized in advertising for businesses located in our village, as well as Glass, Dugald, Oakbank and Hazelridge. Community events were included, and historical insights followed. 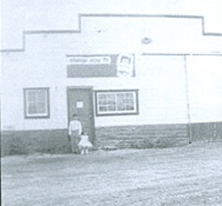 The office was once located in the building just west of the Village Inn. 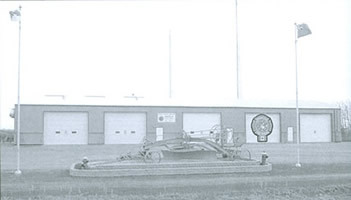 In 1999, the Clipper office was moved to Beausejour, a more centralized location within the North Eastman region. In 2007, it is known as The Clipper Weekly, and has grown to encompass an area stretching from Highway #59 to the Ontario border, with a circulation of 12,000. Over the years, many private residences have opened up businesses in the Anola area. Some are: Elbar Erectors, Anola Feed and Farm Supply, Anola Carpet, Metrow's Septic Service, Gator Alley Automotive and Anola Towing, Anola Automotive, Anola Custom Collision and Glass, Anola Tire, and let's not forget to mention Pumpkins Pastimes, a wonderful antique shop and tea room just east of the village. Go there for what is possibly the best mandarin orange cake on the planet. Some of the stores mentioned earlier would not have been able to conduct business as usual had it not been for the Crumb Brothers Transfer service. In 1941, Almanson (Allie) Crumb started hauling cream in a 1938 International truck. Within a year, he and his brother Ernie were transporting livestock and general freight in two 1936 Ford trucks. In 1942, Ernie joined the army, and upon returning in 1945, carried on with business as usual. Sometime along the way, the name of the business was changed simply to Crumb's Transfer. 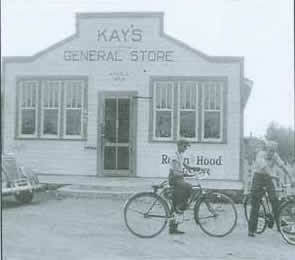 Deliveries were made to Kay's General Store and A. A. & R. Store on a regular basis. During the winter, road conditions could be trying at best, which prompted the brothers to take matters. Over the years, Crumb's Transfer has contributed much to the community, by hauling essential freight or providing employment. The Anola Fire Hall was built in 1978, on the former site of the Shell bulk fuel station. A newspaper article from 1981 states that a 32 man volunteer force and three trucks were in service. In 2007, roughly 20 volunteers are kept busy fighting fires as well as responding to a wide range of emergency calls in the RM of Springfield. Prior to the implementation of the 911 network in our area, callers reporting a fire or other catastrophe were required to call the emergency number, which was a party line that would ring in the homes of six different families. Someone would answer the call, take down the pertinent information, and the fire fighters would be dispatched. The 911 network was established throughout the area in approximately 2003. Of interest is the fact that at times, people reported fires to the Anola Building Center, knowing that firefighters Carl and Garth Cook (who own the store) would come to their rescue. There is a rich history of mail service in the district which dates back to 1883, prior to the formation of our village. Because the Anola Post Office recognized these years before the post office was actually moved to the village in 1921, its Centennial Celebration took place in 1983. A newspaper article written in honor of the centennial by E. Perry states: "December 1, 1983 marked the official! 00 year of mail service in the Anola area or, more accurately, the south eastern part of the RM of Springfield. With that said the history of the post office in the allotted time frame of this book begins in 1907, and the founding of our village. Mr. M.H. Holloway was postmaster of what was called the Richland Post Office. He looked after the mail for residents of Free Port and surrounding area up until 1913 when Mr. George Moorehouse began operating the post office from his home 3 miles south of Anola (SW 24-1 0-6E). An article written by E. Perry in 1983 explains early mail delivery: "In the beginning and for many years mail was picked up in Winnipeg at the old General Post Office. Those early mail carriers did their job on foot or by horseback and horse-drawn conveyances. Eventually they obtained cars and somehow managed to overcome mud bogs and snowdrifts to get mail through. It wasn't what specific time the mail arrived but the fact that it did arrive at all. Those early mail carriers prided themselves on getting that mail through no matter what the obstacles were." At first, mail delivery was once a week to the various small post offices located in peoples' homes here and there on the prairie. It was later changed to twice a week. Considering the distance the carriers needed to cover and the modes of transportation to choose from, twice a week is impressive. One of the first 'mailmen' to deliver the mail to Anola and beyond was Mr. William Hemmings. He and his wife Polly came from Manchester, England and after a brief stay in Winnipeg settled on 36-10-7E. Mr. Hemmings started his mail delivery by use of horses, but eventually bought a Model T, complete with brass headlamps. Upon his approach to each post office home, he would announce his arrival by blowing into the bugle that he carried. E. Perry: "Of course that bugle just didn't herald the mail but it also invited the locals to a social gathering. Those early post offices were a kind of social center that helped neighbors keep in touch with each other." Mr. Hemmings' trusty bugle was forever silenced on December 8, 1924 when a CNR Transcontinental passenger train collided with him at a crossing near his home. He was 74. In 1921 the Richland post office was relocated to the Bugyik store, where it assumed the name of the village, and the Anola Post Office was born; thus making Mr. Bugyik its first postmaster. When the store was sold to the Halabiski family in 1944, Ann Halabiski took over duties as postmistress. Ann's son Bob remembers the mail being brought in by train, with the bags often being tossed or kicked off while the train was moving. This practice no doubt spelled disaster for anything fragile that was sent through, and it was quite common to find mail scattered up and down the tracks near drop off sites. Outgoing mail was packed in a mail sack and hung precariously on the end of an arm that stuck out far enough so as to be snatched by a long metal hook, which was held by some poor soul on board the train as it sped by. Of course the times when the train did have a stop to make in the village, the pick-up and delivery of the mail was a much less nail-biting event. Mail which had been distributed from various post offices such as Ostenfeld, Vivian and Dundee were eventually handled through Anola; either picked up at the post office or delivered by the mail carrier. For 36 years, Ralph Kitkowski was the mail carrier for the Anola post office and the area it encompassed, bringing mail to hundreds of single boxes on each delivery, as group sites were not introduced until later years. In times when traveling to the store was not always possible, people on his route would sometimes call and ask him to pick up milk or bread for them, which he gladly delivered along with their mail. When he retired in 1983, Jim Hughes took over as the carrier and is still going strong in 2007.